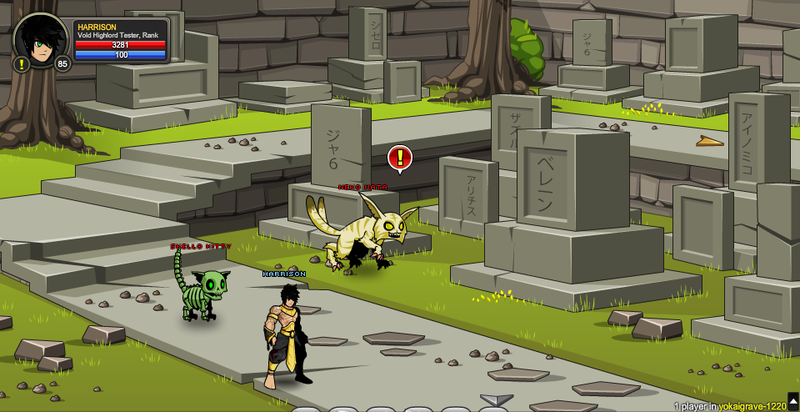 A sacred resting ground for the souls lost on Yokai Island. 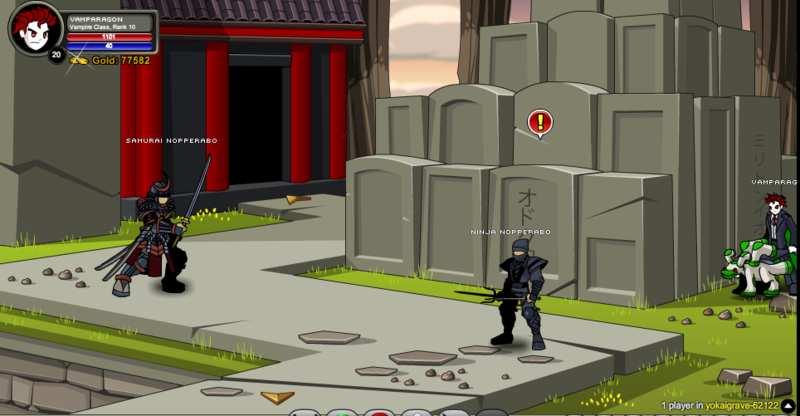 Pay homage and respect to the fallen, Yokai and Human alike. 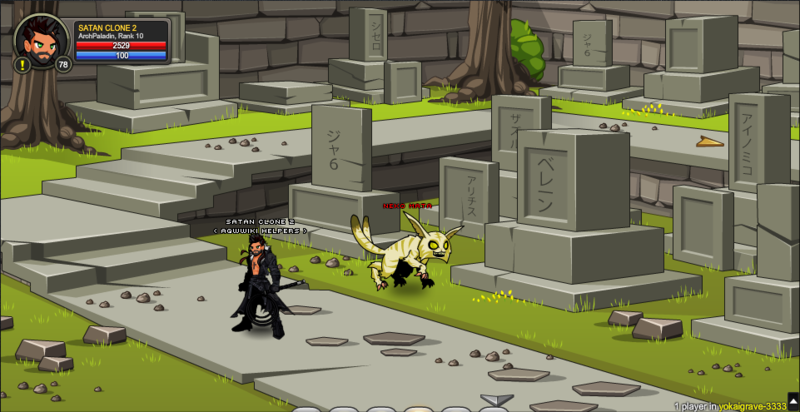 Inscriptions on the graves on screens 1-5 read: Ai no Miko, Artix, Beleen, Cysero, J6, Miltonius, Reens, Robina, Zazul, and Zhoom. Thanks to Apus and Vamparagon.